Campers rarely leave the house without one packed in their backpacks: the all mighty alcohol stove. They’re tremendously popular not only due to the fact that they’re light and easy to carry around, but because they’re extremely convenient to use. What’s better than a warm can of soup after a long hike, right? However, finding the right alcohol stove fuel may not be as easy as it sounds. While all fuels may look more or less the same to the average buyer, there can be major differences in the quality offered by different brands. You should be aware that choosing the right fuel is very likely to save you both time and money. Read on to learn what important features to pay attention to when buying fuel as well as to see the reviews of the best fuels and fuel bottles on the market. Once you’ve understood different features and read the reviews, it’s our hope that the buying process will be going much smoother, both for the first-time buyers as well as for the experienced campers as well. 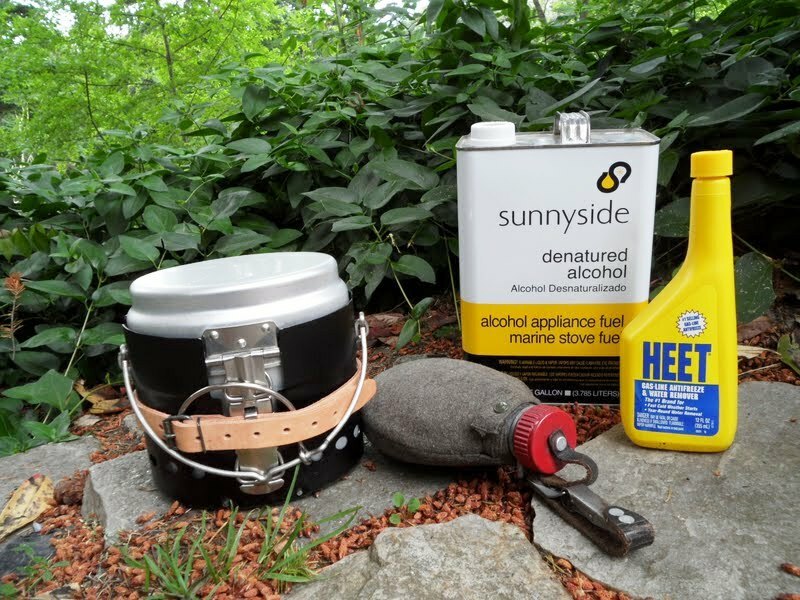 Before proceeding with the actual reviews, here are the things you need to consider before buying some alcohol stove fuel. Please remember that buying inappropriate fuel or using any of the fuels inappropriately may result in fatal injuries and/or burns. It might be for the best to always double check that the fuel you’re buying can be used with the type of stove you have as well as make sure you’re handling the fire and fumes carefully at all times. First-time buyers may be confused to learn there are various types of alcohol fuels on the market, each coming with its own sets of distinctive traits. This is directly related to the amount of heat you’re going to get and to the burning time of the fire. Ideally, you’d want to maximize the heat and the burning time, while minimizing the amount of fuel you’d have to carry with you. Most commonly used fuels are denatured alcohol, pure ethanol, pure methanol, and isopropanol. 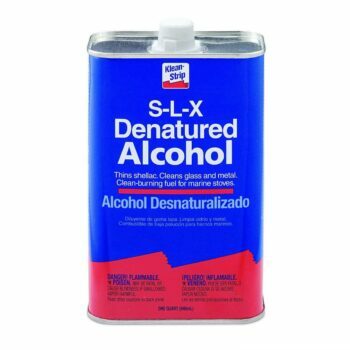 Denatured alcohol is the most available alcohol fuel and most of the products on our list are denatured alcohol fuels. 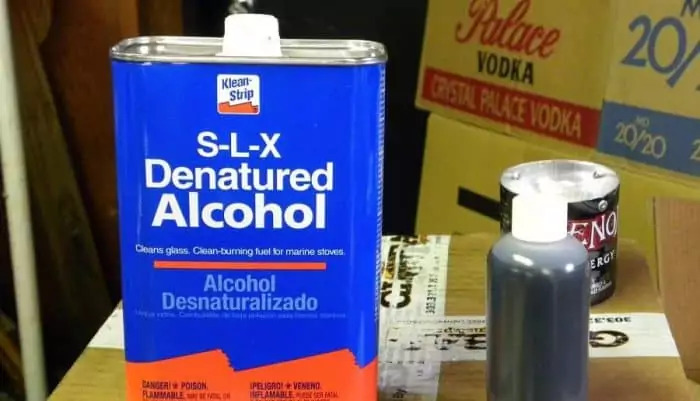 Actually, denatured alcohol is ethanol mixed with other additives that are added to discourage people from drinking it by making it bitter and bad-smelling. 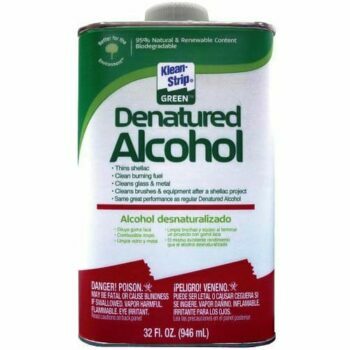 When buying denatured alcohol fuel, pay attention to the amount of ethanol inside. 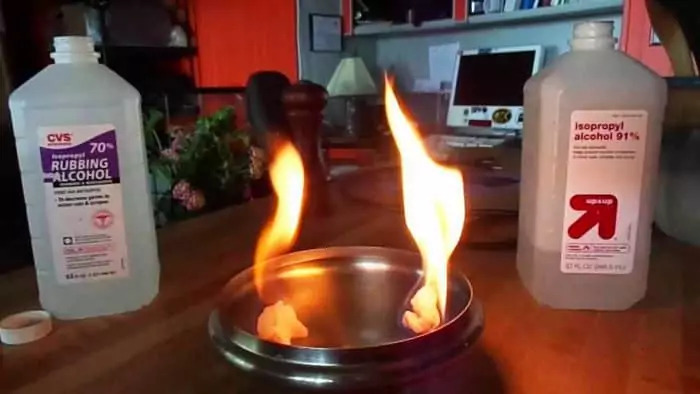 The more ethanol inside, the better the flame will be. To achieve the best results, there shouldn’t be any less than 50% ethanol. In order to make a better-informed decision and read fuel labels more successfully in the future, we took the time to offer you a short explanation on the other common types of alcohol fuel. Pure ethanol provides the best results, however, it comes with a higher price and it’s often not available to the general public. 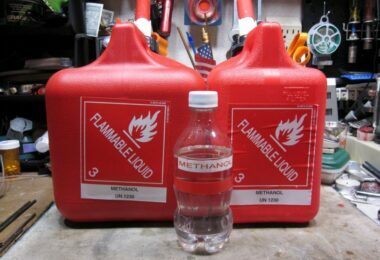 Pure methanol burns more quickly than ethanol but it has a higher toxicity level. Isopropanol, also known as rubbing alcohol, can be used as a fuel though it can be very toxic and it soots badly. Alcohol stoves are convenient and light; some, for that matter, can even easily fit in your pocket. However, sometimes the size and the weight of the fuel container may be more than what you’re actually willing to carry. Take good note of the dimensions of the product, especially if you’re ordering it online. You may also want to pay attention to the fact that some fuels can come in containers with different sizes, so it’ll be up to you to decide which packaging might work better for you. If you’re going to carry the container with you at all times, smaller and lighter packages might work better. If you’re going to have a spot where you can leave the container (for example, in a car) then you can opt for a larger size that may be more budget-friendly. We think that the fuel bottles are an excellent solution to any potential size and weight problems you might encounter and we’ve included them in our review as well. Most of them are made out of a non-dissolvable plastic and you could easily refill them multiple times. 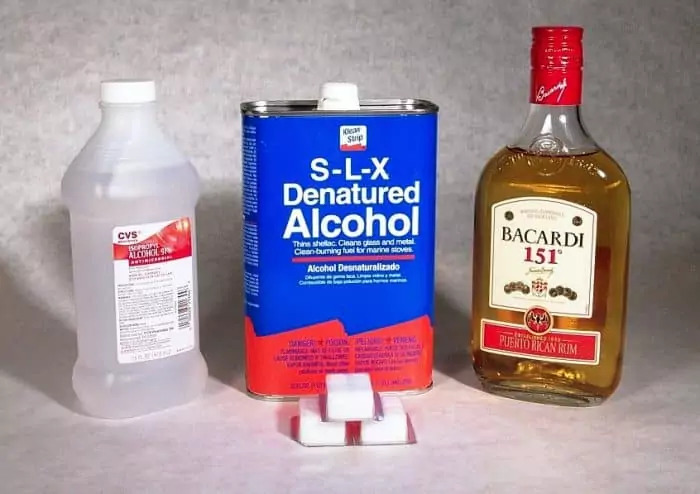 The ability to pour is important not only because it’ll prevent you from making a mess, but because some of the alcohol fuels can burn your skin or be toxic if you come in touch with. Also, it may come a time when you’re going to have to set the fire faster and the easy-pour ability may come as a blessing. Some containers allow easier pouring and you could easily do it yourself as long as the stove is on a leveled ground. With others, you may need additional help from another person as to prevent any spills. Again, we consider fuel bottles to be of great assistance when it comes to solving this problem as well, as most of them incorporate easy-to-pour systems. 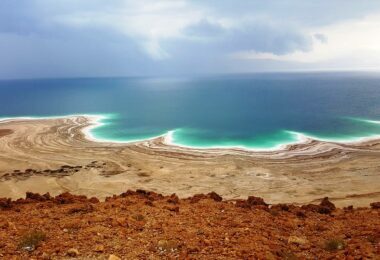 Since nature offers you all of those cool spots where you get to go camping, a big number of campers are worried if the fuel they use is environmentally friendly. If you’re one of them, you’ll be happy to hear that some brands have special green lines that help preserve the environment. Even if you don’t choose specific brands who offer those green, eco-friendly lines, you could make a big difference by choosing brands with more than 50% ethanol inside. Anything with 50% or more ethanol inside might be considered as safe to use for the environment, while anything with less than 50% is environmentally unfriendly. Here are some of the best alcohol stove fuel brands and fuel bottles on the market out there. 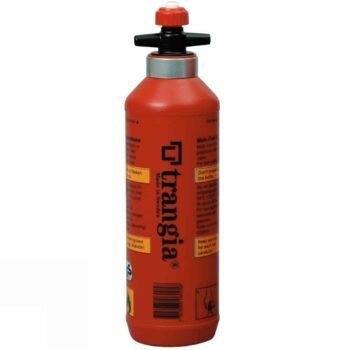 We love the Trangia Fuel Bottle is everything you could possibly need off a fuel bottle! It comes in three different sizes, each in a very distinctive orange color: 0.3L, 0.5L, and 1L options, which approximately equals to 10 ounces, 17 ounces and 33 ounces. The smallest size bottle is ideal for shorter trips of up to few days but for longer ones, you might need to get the 17 or 33 ounces bottle. The price doesn’t differ much no matter the size, so you could easily pick whatever is most suitable for your needs. The bottle is made out of polyethylene and is quite sturdy, so you wouldn’t have to worry about it losing shape over time or melting when you fill it with fuel. On top of that, when empty, the bottle is also pretty light: 3.35oz/4.06oz/5.64oz, respectively, which means you won’t have to carry any unnecessary weight with you. The best part of this fuel bottle is its safety valve, which prevents any spills from happening even if you knock it over or turn it upside down while carrying it. The valve also enables users to easily drizzle the fuel into their alcohol stoves without risking spillage. This bottle can be considered budget-friendly and environmentally friendly due to the fact that it can be reused multiple times. Related: You might be interested in this Trangia Cover Bag that you can buy alongside the fuel bottle. It’ll allow you for a better protection of your camping cooking set and thus prolong its durability. 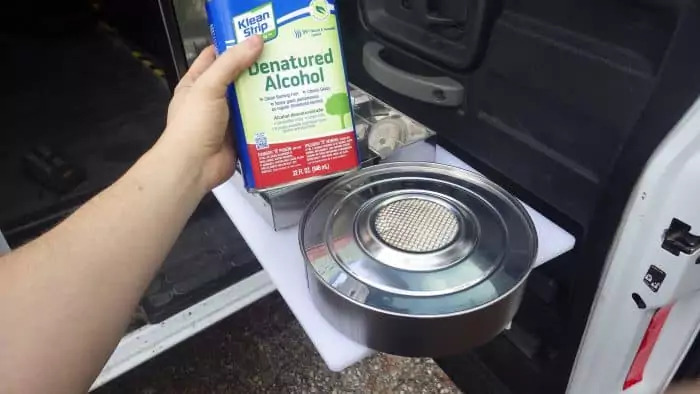 With its 1 gallon packaging, the Klean Strip GSL26 Denatured Alcohol can be considered a good budget-friendly addition to your camping gear. It’s made out of 40-50% ethanol and 50-55% methanol, which isn’t that great of an ethanol percentage. However, it still offers users a decent flame and burning time considering the price. We would say that since it comes in a gallon size and it weighs around 7.5 pounds, it’s not the very best solution when you’re heading out on shorter trips as it’d be too heavy to carry around. However, it could be a nice option when you’re going on longer trips with a car, where you’ll have a place to leave it. Again, considering the weight and the size of the container, you may need some help while pouring as to avoid spills and aim better. This would be a good buy if you’re interested in using it together with a fuel bottle, as you’d be able to easily refill it from the container. As far as the eco-friendliness of the product is concerned, the amount of ethanol is not high enough for this product to be considered environmentally friendly. If you’re concerned more about that aspect, some other products from the list may be a better fit. 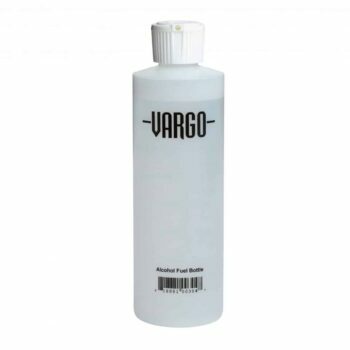 The Vargo Alcohol Fuel Bottle is a decent purchase for anyone interested in getting a good value for their money. It has a considerable filling capacity of 8.5 ounces which should last you for a couple of days, depending on the amount of cooking you’ll do. The bottle itself is light and its dimensions are suitable for it to be carried around without too much trouble. At the same time, the plastic is sturdy enough as to not melt or lose shape over time. We like to think that one of the best aspects about this bottle is its flip-top cap which may prove to be pretty handy for most users. The size of the opening is not too big and it allows for an easy pour. The bottle itself is designed to be leak proof, though some users have complained of leakages. Taking into account the price and the option to be reused multiple times, the bottle can be classified as both budget-friendly and environmentally friendly. Related: The Vargo Alcohol Stove is titanium-made but light at the same time. It comes with retractable legs and pot supporters so you can be sure that it won’t be taking too much out of your space while ensuring maximum pot stability at the same time. 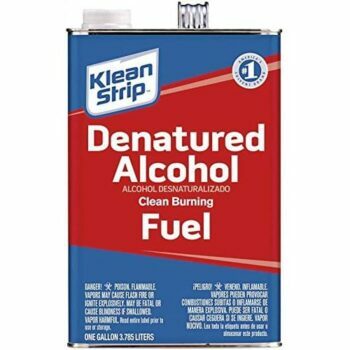 The Klean-Strip QKGA75003 Denatured Alcohol may be one of the best alcohol stove fuels out there! We love that it comes in a quart size; depending on the length of your trip and the cooking you’ll be doing, you can either take the whole thing with you or just split it up for multiple uses. The best part about it is the 85-90% ethanol inside, while at the same time it has less than <5% methanol inside! The higher amount of ethanol allows for a longer and nicer burn. At the same time, fuels with more ethanol help protect the environment at the same time, so it’s a win-win situation on both sides! Considering that the container is not that big, pouring shouldn’t be too hard and it wouldn’t require another pair of hands on deck. However, take notice to never fill a hot stove due to the simple fact that the flames are invisible. It can be said that the price is pretty fair in this case, though some other types of fuel come in much larger quantities for the same price. But taking all of the other benefits into account, it may be well worth it. 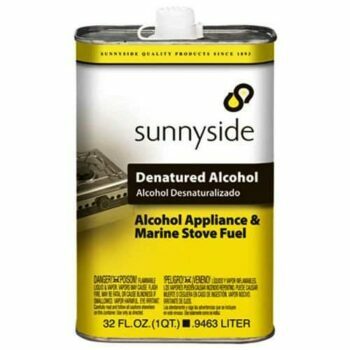 The Sunnyside Corporstion Denatured Alcohol comes in a convenient size of one quart, which again, is suitable for any types of trips. It has 49% ethanol and 50% methanol inside which is not that great, neither for the burning time nor for the environment. The overall weight and size of the product could’ve been better as well since there can be found other products coming in the same quart size with a lower weight and smaller dimensions. We think that the container should allow for an easy pour and that you wouldn’t need any extra help with it. However, one of the biggest downsides of the product is definitely the fact that it’s not eco-friendly enough. Other products in the similar price range offer both a higher percentage of ethanol and a better protection of the environment. Related: If you’re looking for a small, convenient alcohol stove, then the Easydeal Mini Alcohol Stove may be to your liking. 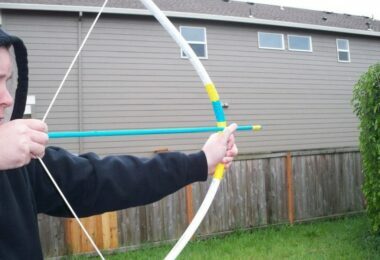 It’s super lightweight and extremely compact. Another good side is that it comes with a pouch for easy transporting. 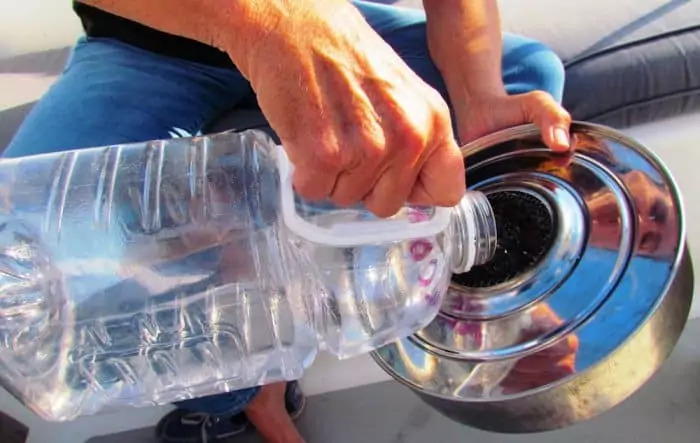 The Marine Alcohol Stove Fuel is a naturally derived ethanol from sustainable resources, meaning it’s very likely to help preserve the environment. The heat with this fuel should be pretty decent though the exact percentage of ethanol is not specified. 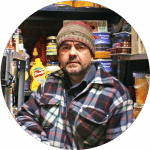 One of the best aspects of this product is that it prevents clogging of the alcohol stoves and it can be used both for pressure and non-pressure stoves. We think its size is more than good for the money since you get a gallon of fuel you’ll very likely use for quite some time. This fuel comes in a jug so it’s convenient and it allows for an easy pour. As you’re very likely to use a fuel bottle with this product, the handle of the jug should be a nice addition when refilling the bottle. However, considering it’s pretty heavy, it wouldn’t be very convenient to carry around for a day’s trip but could be ideal for longer family camping trips. Related: The Outad Alcohol Stove is a great product that’s very likely to become your favorite. It comes in a minimal size and it weighs less than 5 oz. and yet it still has a windshield around it, making it easier for you to get a stronger flame. 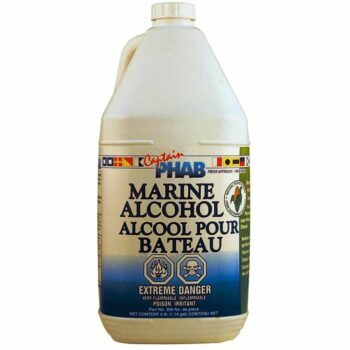 The Denatured Alcohol Quart is made out of 40-50% ethanol and 50-55% methanol, which may be considered decent for the price. However, it has more methanol rather than ethanol in it, so it’ll be burning faster and you might want to bring more. We like that it comes in a quart size and it weighs less than 2 pounds, so you could decide for yourself whether to take the whole thing or split it up. However, if you’re one of those campers that like to carry the exact amount of fuel you’ll need, then we’d recommend splitting the bottle. Since the container is not that heavy, you shouldn’t have any trouble to spill from it, though be more careful in harsher weather conditions. As far as the price is concerned, we feel like there’s some room for improvement since much better products can be bought for less. Related: This Solo Alcohol Burner will do wonders no matter where you decide to take it with you. Weighing somewhere around 3.5 oz. it’s extremely easy to use. The best part about it is the cap that allows you to set the intensity of the flame or completely extinguish it once you’re done with it. That’s it – you have the honest opinion on some of the most popular alcohol stove fuel options right here. Hopefully, we’ve made the whole buying process a bit easier for you and maybe you’ve even managed to learn something new! What’s your favorite fuel out there? Do you happen to have one you’ve been loyal to for years? Feel free to share in the comments – we’d love to hear from you! Find out more reviews of the top alcohol stoves for camping in our article on this topic.